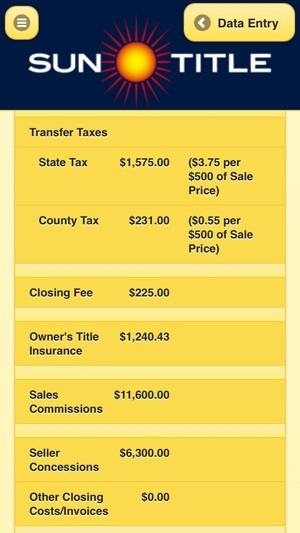 The Mobile Title application by Sun Title is like carrying an Escrow Officer in your pocket when you are meeting with clients, showing properties, or working at your office. 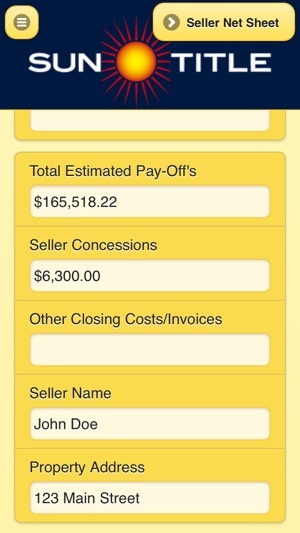 The calculators in Mobile Title also include the ability to email the resulting calculation to any email address in a format that is professional and easy to read (including detailed explanations of the calculations). The calculators were designed to be comprehensive, but also intuitive, by capturing all of the items needed to get a good estimate. We created the application so our clients could get the numbers they need whenever they needed them. But we remain committed to excellent communication and responsiveness, so we stand ready to respond to any question or issue our clients may have. Clients should never hesitate to contact us directly at (616)458-9100 or email us with questions and needs for all their Michigan transactions. 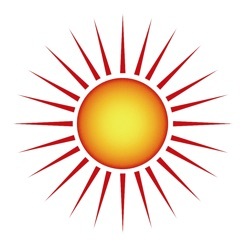 Sun Title looks forward to developing new and additional tools to help our clients become successful. 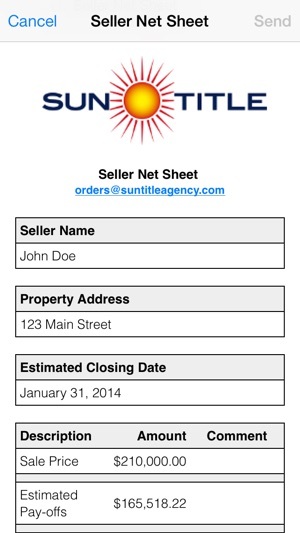 Thank you for your interest in the Mobile Title application by Sun Title!